Why Does Cleaning Oriental Rugs Require Such A Different Process? For many different reasons, cleaning oriental rugs requires a different process than that used in on-location carpet cleaning. * Weaving produces a strong, tight backing that will hold a tremendous amount of soil. * The pile density of a woven rug is many times thicker than carpet. * This pile density contributes to a rugs ability to "hide" soil. It should be noted that whether the rug "looks" dirty or not, the fibers are being damaged by being left in a soiled state, primarily through abrasion caused by particulate soil. * You cannot remove all of the dry particulate soil through regular vacuuming. Vacuuming regularly remains the single most important thing you can do at home to care for your flooring textile! Nonetheless, every year or two, your rug needs professional cleaning. 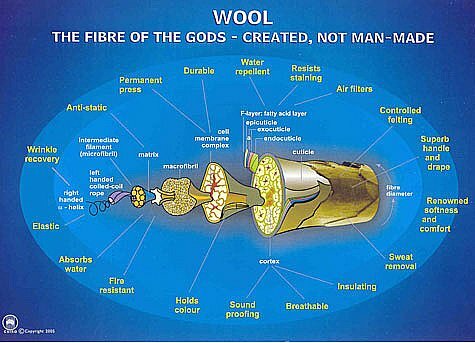 * Wool is an amazing fiber. It's naturally resistant to mold and mildew, it insulates against heat and cold, it wears longer than synthetic fibers, it's fire resistant, it resists static, it insulates against noise, and wool is perhaps the worlds greenest fiber. * Despite all of the above being true, wool can be damaged through the use of standard carpet cleaning solutions, many of which are high in Ph value, harming the fibers structural integrity and contributing to possible dye instability and browning. * In addition to cleaning solutions, the equipment used by most on-location carpet cleaners is ill-suited to cleaning oriental rugs. The equipment, while ideal for cleaning your family room carpet, creates too much heat, too much water pressure and too much vacuum for the safety of your oriental rug. * Appropriate dye stability testing cannot be performed in the home. * It's not even possible to thoroughly surface clean a rug in the home environment. What about the the back of the rug, the fringes, where will the rug hang to dry (or do you just leave it in place and hope no damage occurs to the underlying floor)? * All of these considerations, and more, dictate that the best, safest way to clean your oriental rug is to clean it in-plant. Cleaning oriental rugs in a controlled environment where the rug cleaning technician has access to every chemical, piece of equipment and reference material that he or she might need is a recipe for a successful outcome.